OLF elementary students are always ready to have some fun so why not celebrate the 50th day of school in style with a party. 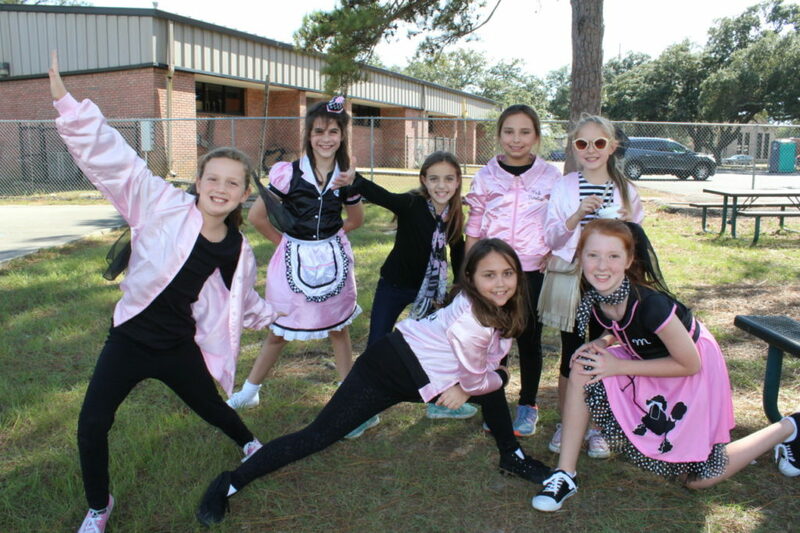 On Thursday, October 13th OLF students took a step back in time and wore their best 50s style outfits. Faculty and even some of the parents took part in the celebration. Cindy Hahn, principal, said “this is a great opportunity for students to unleash their creative side and have some fun.” More photos from the 50s day can be found in Seen & Heard.